Many classes at Hopkins incorporated the election into their studies (artwork: Sanaea Bhagwagar). Despite losing the popular vote, Republican nominee Donald Trump was named the president-elect on November 9, with 290 Electoral College votes over Hillary Clinton’s 232. He will be inaugurated on Friday, January 20. Moreover, the surprising election result has opened students’ eyes to the opinions of others. Head of School Dr. Kai Bynum stated, “We have not changed fundamentally. More than anything we’ve become more aware of different opinions and perspectives. Some Trump or neutral supporters feel ostracized by their peers. Sara Amar ’19 commented, “This community talks about viewing opinions neutrally, yet people attack anyone who supports Trump, [so the attitude] discourages kids from talking about their political views.” One of the biggest debates on campus, and across the country, is whether or not one can support Trump but not endorse his derogatory comments. “Just because someone supports Trump doesn’t mean they support everything he’s said or that they’re bad people,” Amar ’19 postulated. In the days following the results, Bynum arranged times to meet with groups of students and discuss their thoughts. He explained that he facilitated these meetings in order to encourage the Hopkins community to engage in mature and open discussions. “We have to get used to learning how to have conversations like that, how to speak both authentically and respectfully to each other about these issues. Trying to change [someone’s] mind to agree with you sometimes puts people in camps that become pretty concrete, and sometimes disallows you from listening to the other person,” Bynum explained. Some members of the community found a way to express their election opinions through the “Political Circus” art gallery show. 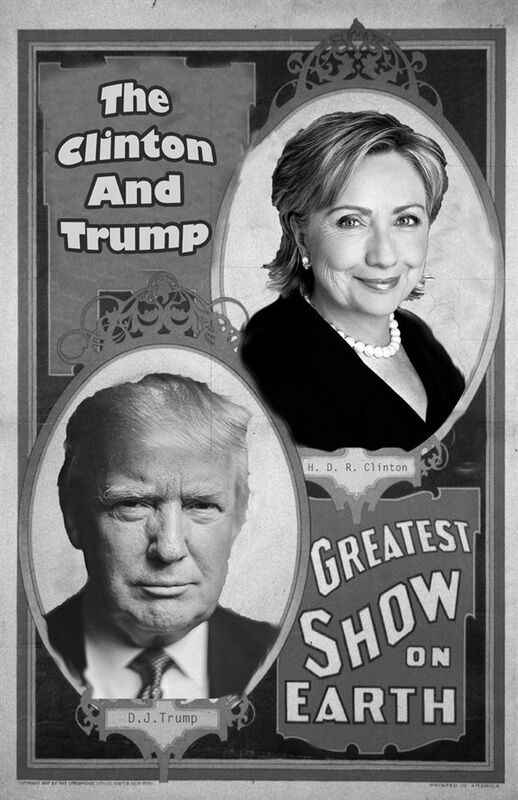 The show featured artwork that compared the absurdity of the election to stereotypical circus acts. “We wanted to give people a place to safely air their political feelings about this whole campaign season. Respect but openness was the hoped for combination,” stated LaBelle-Young, whose classes all contributed to the gallery show. “Being edgy was okay but being offensive was not, and it’s important to teach people that line in a public forum,” she continued.